The suspect who is a paint dealer said he stored the paint there on a temporary base and was not aware that it was against the law. Police remove the paint from the house on Tuesday morning. 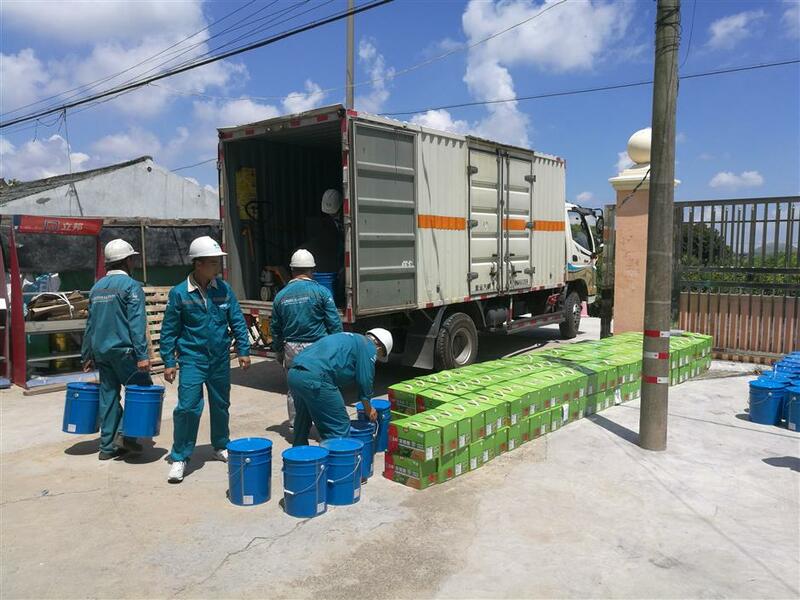 Under the arrangment of the authorities, the paint was transported away from the house on Tuesday for safe storage. Police have detained a man for illegally storing a massive cache of paint at his suburban home in Pudong New Area, law enforcement said yesterday. The man, surnamed Li, is a paint dealer who said he was storing the paint there temporarily and was not aware that it was against the law. 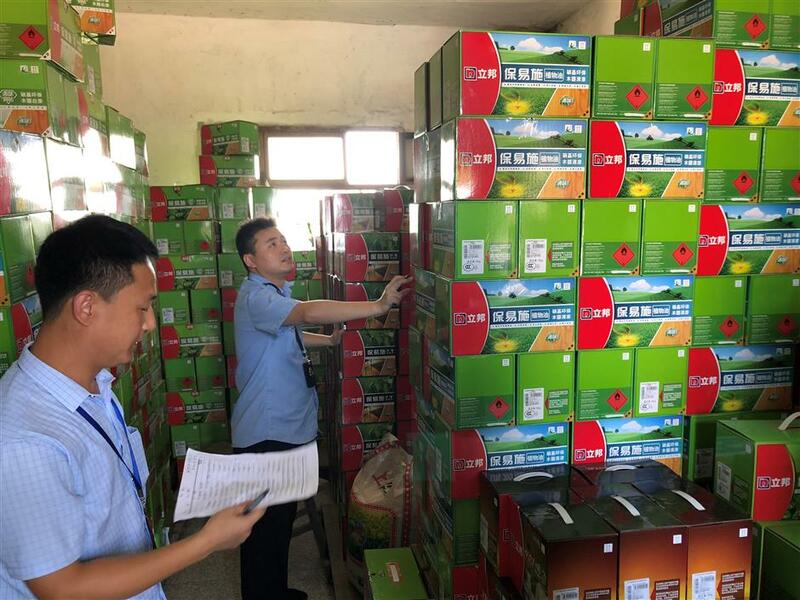 The paint was discovered on Monday during an inspection by police from Laogang Police Station, firefighters from Lingang Fire Brigade and safety inspectors from Laogang Town. The paint, contained in barrels and boxes, was stacked on the first floor of a two-story farm house and in a shed. The house is located in a densely populated area, Xinhe Village. Sha Jingjing, vice head of Lingang Fire Brigade, estimates that 25 to 26 tons were found, but Li claims the amount was less than 10 tons. “To safely store paint, a facility must be fire and explosion proof, equipped with firefighting equipment and alarms. But this house meets none of these requirements,” Sha said, adding that the danger was amplified by recent hot weather. Li claimed he relocated the paint from a hazardous-material storage center to the house in Pudong, which he rented two weeks prior, and intended to move the paint again in another week’s time. Authorities arranged transportation of the paint to a safe facility.